Peter Pond, a fur trader, explorer, and amateur mapmaker, spent his life ranging much farther afield than Milford, Connecticut, where he was born and died (1740-1807). He traded around the Great Lakes, on the Mississippi and the Minnesota Rivers, and in the Canadian Northwest. He was also well-known as a partner in Montreal’s North West Company and as mentor to Alexander Mackenzie, who journeyed down the Mackenzie River to the Arctic Sea. Knowing 18th-century North America on a scale that few others did, Pond drew some of the earliest maps of western Canada. In this meticulous biography, David Chapin presents Pond’s life as part of a generation of traders who came of age between the Seven Years’ War and the American Revolution. Pond’s encounters with a plethora of distinct Native cultures over the course of his career shaped his life and defined his reputation. Whereas previous studies have caricatured Pond as quarrelsome and explosive, Chapin presents him as an intellectually curious, proud, talented, and ambitious man, living in a world that could often be quite violent. 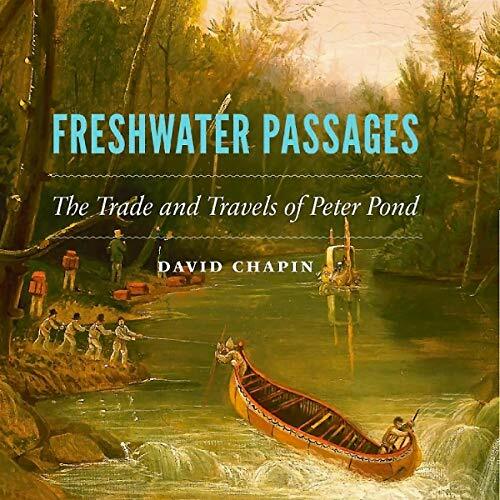 Chapin draws together a wide range of sources and information in presenting a deeper, more multidimensional portrait and understanding of Pond that has been hitherto unavailable. The text form of this audiobook is published by University of Nebraska Press.